All over the world there is a grass roots movement in which people strive to go back to a day when people didn’t depend on the grocery store for everything. People are baking bread, growing vegetables and herbs, even raising chickens! One basic skill that was almost lost is making a comeback – cheesemaking. While making your own cheese may be challenging at times, and the finished product may end up costing more than the package at the store, there is nothing more gratifying that making your own cheese. The following ten websites will be invaluable tools for instruction, supplies and connecting with other cheesemaking enthusiasts. They are listed in order of their Alexa traffic count rating. 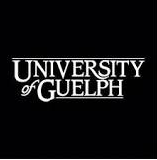 This link will take you to the jumping off page for the University of Guelph’s Dairy Education Book Series. It is a resource for anyone interested on education regarding dairy, so it has other components as well. To the right of the page you will find links to various eBooks including a Cheese Making Technology eBook. This is a highly useful educational source for those that really want to understand the topic in depth. Not the easiest site to navigate but worth the trouble. This is a useful resource for cheesemaking and also for yogurt making, sprouting and various starter cultures. You can purchase cheese starter cultures, rennet & additives, starter kits and supplies & books from their site. Go to the Learn tab for expert advice articles, how-to videos, recipes, a blog and a forum. There are plenty of articles for beginners and for experienced cheesemakers. Cheese Notes is a blog created by Matt Spiegler. He uses it to share links of interest and aggregate all the cheese knowledge he is amassing as he advances his own knowledge in cheesemaking. He is a VIAC-certified urban cheesemaker. You will love the blogs as well as some wonderful photos of cheese, of course! The site includes cheesemaking resources, a NYC cheese map and tasting notes, although the map wasn’t working at the time of this review. 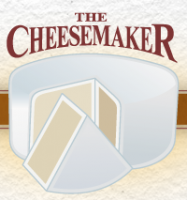 This is a forum devoted entirely to cheesemaking. Topics include articles, recipes, equipment, ingredients, making, defects, bits & bites and miscellaneous. Probably the most unique and potentially very useful part of this site is the defects section so when something goes wrong, as it inevitably will, you will have knowledge about what happened and how it looks. This can be incredibly important since defective cheese can be quite bad for you. There can be defects in aroma, flavor or visually, as well as others which are all outlined in this section for you. A very good resource! 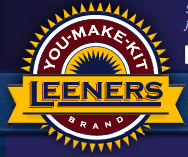 Leeners is a full-service make your own fermented foods store with kits and supplies for making everything from cheese to wine to root beer. They have starter kits for beginners and all the supplies that a more experienced cheesemaker would need. The how-tos section of the site offers tips and instructions. There is also a recipe section. You can sign up for their newsletter to receive special offers. A nice site offering articles on a number of skillsets you may not have thought about, such as making sake, vinegar, mustard, hot sauce and mead. Their store is in Northfield, Ohio. This site includes home cheese making kits, supplies, yogurt making supplies and cheese making information. They are a 30-year family business from the UK that is now established in the US. They are passionate about helping you improve your skills. Some of the supplies they carry include cultures, waxes, molds, mats, presses, testing equipment, packaging and books. They have mozzarella and ricotta kits, beginner kits and economy kits. The information section includes a blog, recipe page, glossary and classes offered by state. Sometimes someone starts up with cheesemaking and is so bitten by the artisan crafting bug that it becomes nearly a fulltime passion. This was the case for Steve Shapson who was bitten back in 2000 when he made his first homemade Camembert cheese. He now holds workshops and sells supplies including kits, presses, ingredients, books and more. You can sign up for his newsletter. The only thing missing on this site is some advice, but it’s likely he saves all that for those that attend his workshop. The site does have some recipes that are unique. Get Culture is a new, specifically designed, hobby-level online store of the parent company, Dairy Connection, Inc. This, therefore, is the site for non-commercial customers. They are located in Madison, Wisconsin where they have a new retail store. You can obtain cheese cultures, yogurt cultures, fermented milk cultures, lipase, coagulants & rennet, color, equipment, molds, books and more from them. The resources section has recipes, news & class info, cheesemaking basics, yogurt making basics, a glossary, links and more. If your goal is to make artisan cheeses, this will be a favorite site for you. The website was created as an evolving extension of Mary Karlin’s book, “Artisan Cheesemaking at Home.” It is packed with valuable information, forms, charts and so much more. For those that really want to delve in, there is a link for taking a course about chevre, mozzarella and cheddar through Craftsy. Mary also has other passions, including mastering fermented foods and wood-fired cooking. You will probably want to start off with a simple cheese if you are a beginner – cream cheese, chevre and queso blanco are great options. Others that are fun as well include feta, mozzarella, cheddar, camembert, gouda and Swiss although they are a bit more challenging and involved. Take a chance and dive in – all you really risk is some milk and a few basic ingredients. Once you try homemade cheese, you’ll wonder what that packaged stuff at the store actually is.